Make no mistake. Suzanne Collins' The Underland Chronicles are about war. The atrocities of war. The soul-crushing horrors of war. Which can be a little much for middle graders, except for the fact that this last installment wraps up the message so well. 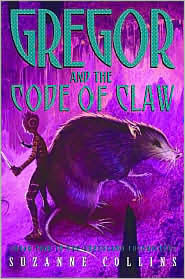 Throughout the first four books, young Gregor has fallen into a world beneath New York city populated by humans, mice, rats and bats, then he found his lost father, nearly lost his baby sister and mother, and discovered that he himself is The Warrior featured in a prophecy surrounding the war between his new friends and the rats. A prophecy which states that The Warrior must die for the war to end. Not too much to put on the shoulders of a 11 year old boy, but Gregor is a warrior. A rager, to be exact, which means he has an intensity of fighting that, once controlled, makes him the ultimate weapon. And in this final book, that weapon is put to the test. Now, dealing with his feelings about the war, Luxa, Ripred, and the loss of many friends, Gregor continues his struggle to save Regalia from the Bane, even though he knows to do so means he will not come out alive (at least, according to the Prophecy of Time). I am a huge Suzanne Collins fan and in The Code of Claw (May, 2007) she does a wonderful job of concluding the series in a touching, inspiring and optimistic way -- despite the violent last lap this installment takes. Parents should note that these books are quite violent and action-packed, making them very appealing to young boys. This last one was the darkest of all five. But as the end is near, it becomes apparent that, for Gregor, it is darkest before the dawn. I recommend this series with 4 bookmarks, but IMO it's more appropriate for the top end of the middle-grade set (closer to 12 than to 9). Ive always loved this series since ive read it, but im a girl, so, I guess that makes me violent eh? hehe. whatever.... but still, I absloutly agree about It being violent. It is, but I think every kid should read it for the experience of reading it. 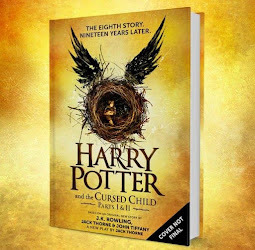 I love the last book in the series I just finished it it was awesome and what mira said the post above mine I think i'm like her because i am violent. Ripred was awesome,too and I feel sorry for Ares. P.S. :I wish I had echolocation like Gregor that was awesome! I really like the book series. It's awesome! I dislike how Gregor and Luxa will never see eath other agian... but that life. I heard rumors of Gregor the overlander becoming a movie, and auditions would be summer of 2010. But its a long shot for a series like this. There would have to be a lot of gaphics. I have read this series... twice. And it's my second favorite series EVER!! !